The Council of State advised against an amendment proposed by Aruba’s Andin Bikker affording individual parliamentarians from Curaçao, Aruba and St. Maarten the right of initiative to submit draft Kingdom Laws (see related story), like their counterparts of the Netherlands. 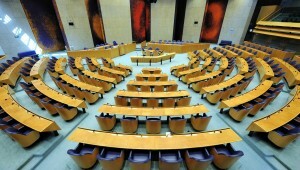 However, it suggested giving this right to the Parliaments of Dutch Caribbean countries as a whole. In that sense the ruling is important, because it recognises the notion that elected representatives from the three islands should have some input by being allowed to come up with legislation at the kingdom level. The Kingdom Charter is geared in such a way that The Hague usually has the final say, but the intention is also to cooperate on a basis of equal worthiness (“gelijkwaardigheid”). Due to the difference in size and development between the European and Caribbean parts of the Dutch Kingdom the latter is not always the case in practice. However, the principle should certainly be honoured where possible and the highest advisory body of the kingdom clearly acknowledged that. The Council did see Bikker’s proposal as a step in the direction of a possible Kingdom Parliament, but pointed to differing views on the subject and basically warned against opening that can of worms. Still, the advice confirms that the interests and voices of all kingdom partners must be duly considered.